Summer in the middle of winter at The Orchid Show! Ok, who is a bit chilly? I am seriously hoping that this Arctic blast is the last before spring! We have paid our dues, right? There are a lot of great events this weekend--many inside, but a few outside. It does look like it should warm up for this weekend but definitely check with the outside events online before heading out. 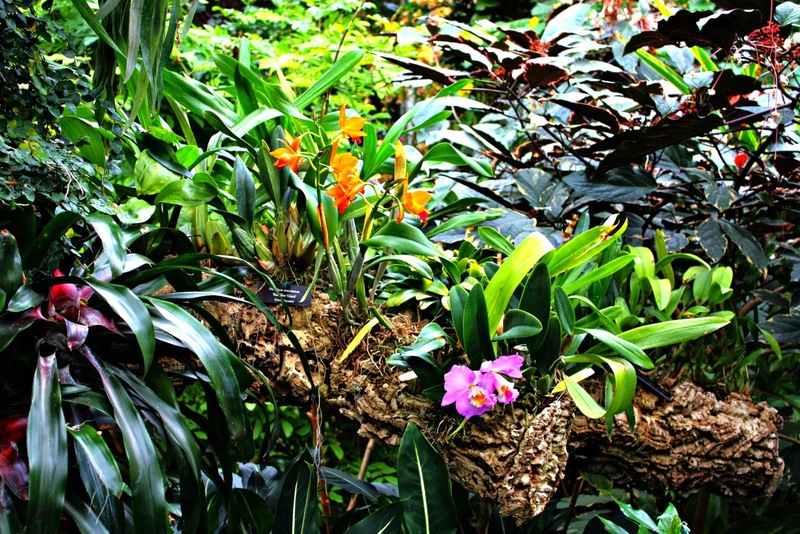 February 14-March 15 The Orchid Show, Chicago Botanic Garden, The Orchid Show will provide extra bursts of color throughout Chicago Botanic Garden's greenhouses. Tickets are $10 for adults, $8 for seniors and kids with those under 2 free ($8 and $6 respectively for members). Parking can be paid for online for $20 per car. **Plus, check out the Chinese New Year Event on February 21** See our review of The Orchid Show! February 19-21 Enchanted Railroad at Morton Arboretum: **FINAL WEEK** Free with admission: winter rates are $9/adult, $8/senior, $6/child, get timed ticket for Enchanted Railroad at Visitor's Center. February 20-21 FREEZE Basic Skills Competition, Glenview Ice Center, see what tricks the skaters have learned during the US Basic Skills Program, see schedule, free! February 21 Sensory Storytime, Mount Prospect Public Library, 10:30AM-11:30AM, there will be a sensory storytime every 3rd Saturday Feb-May for children with special needs and their families, the event may include stories, various sensory activities, crafts, music, play and even used of Ipad apps, free but you must register. February 21 Winter Carnival, Meadowhill Park, Northbrook, 11AM-1:30PM, sled dog demos, snowshoeing, sledding, bonfire with s'mores, music and more, free! February 21 Mardi Gras Family Night, Rec Plex, Mt. Prospect, 4:30PM-9:00PM, families can swim, make crafts, jump in a bouncy house, visit a fortune teller and much more! At 5PM, families can meet Bubba the alligator part of the Cold Blooded Creatures Show with Jim Nesci. After the show, kids can join a Mardi Gras parade and parade with their own noisemakers. Admission is $5 per residents, $7 per non. Parents are free! Bring along some cash for concessions or loot from the Mardi Gras Boutique. You can pre-register with class code 23737 or pay at the door. Those that pre-register will get an extra prize. February 22 Wild Fest, Big Run Wolf Ranch, Lockport, 10AM-4PM, animal shows featuring raptors, dogs, bats and more, meet wildlife including wolves, woodchucks, porcupines, owls and more, petting opportunities, vendors, concessions and more, admission is $8 per adult, $5 per child 12 and under, $5 per student with ID.